"Whateva" sounds so nice! :-) That card is adorable too. As usual, you put together some great colors! I really really like this card. The window looks good and I love that blue color! Did you use markers to color it? It's lovely! 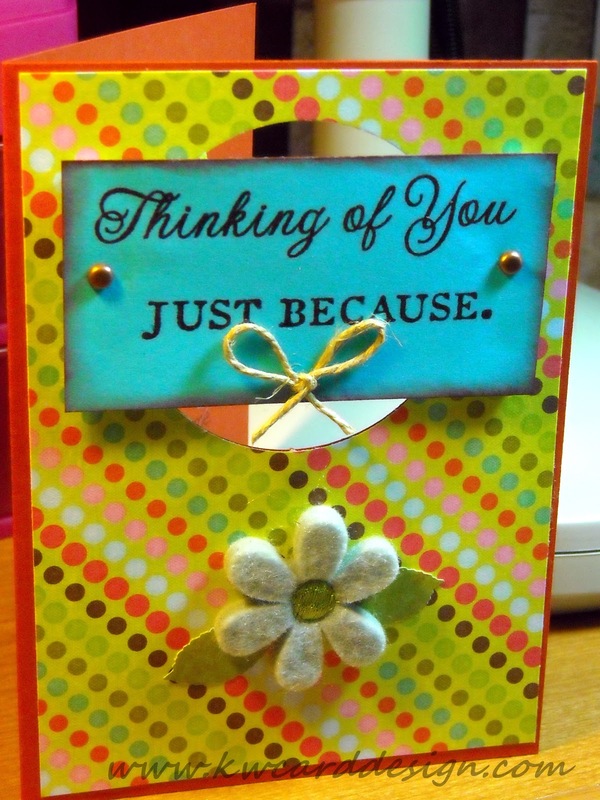 @Laura - coming from an amazing card maker - I appreciate your sweet comment girl! @ Rachel - I didn't color at all - it is just the color of the matting card stock I had around. :o) Thanks for your support Rachel!